JAXA’s (Japan Aerospace Exploration Agency) third planetary explorer, Planet C (Akatsuki), failed to enter Venus’ orbit following a journey that lifted off in May of this year. The Institute of Space and Astronautical Science of the Japan Aerospace Exploration Agency (ISAS/JAXA) performed Venus orbit insertion maneuver (VOI-1) for the Venus Climate Orbiter “AKATSUKI” at 8:49 a.m. on December 7 (Japan Standard Time,) but, unfortunately, we have found that the orbiter was not injected into the planned orbit as a result of orbit estimation. If control is able to be completely regained, there will be an opportunity to re-try entering Venusian orbit in five years — Akatsuki doesn’t have the fuel to hit the brakes and go back for another go at it. This will mark the second JAXA planetary explorer that failed to complete its mission. 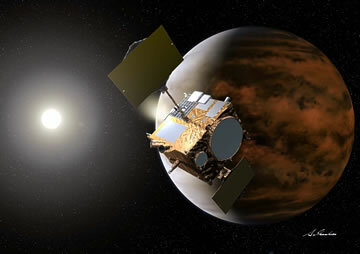 Planet-B — dubbed “Nozomi” — failed to enter Mars orbit in 2003. That mission was abandoned, but the spacecraft is currently still active. While the challenges of space travel have proven frustrating for JAXA, the agency cannot be said to not have its successes. Planet-A (“Suisei”) came within 151,000km of Halley’s Comet in 1986, as part of an international armada of probes sent to the renowned iceball during its last approach to our neck of the solar system. In addition to that, they have another very nifty, and successful, vehicle out there named IKAROS (“Interplanetary Kite-craft Accelerated by Radiation Of the Sun”). 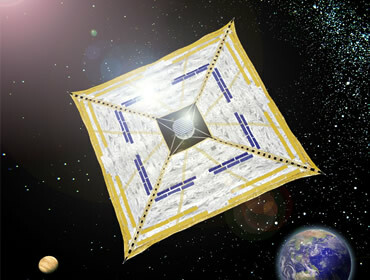 IKAROS is an experiment designed to demonstrate solar-sail technology as a means of traveling interplanetary space. IKAROS is an exciting little machine and I intend to devote an entire post to it in the near future. Space exploration has come a long way in a very short amount of time, but we continually have these pesky failures to continually remind us that it is also very challenging. As frustrating as these complications may be, we can still appreciate the lessons learned and apply them to the success of future endeavors.